of the patients and the doctors! We are now open at our new location, 609 N. Mustang Road. Keep your pets happy and healthy with pet care services from Yukon Pet Care Clinic in Yukon, Oklahoma. Contact us for more information about our services. Our friendly staff and our doctors are available for emergencies or questions any time. Welcome to our home page! Come on in and look around. We will be updating frequently, so please check back often. We have included a tour of the clinic, staff information, important pet health news, and links to other sites where you can learn more about animals and health. Please e-mail us with your comments, suggestions, or just to say hello! Yukon Pet Care Clinic in Yukon, Oklahoma, is a veterinary clinic for small animals serving the Yukon - Mustang area. 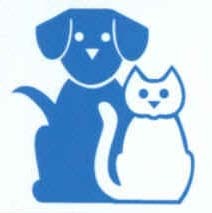 We are dedicated to friendly, personal care for you and your pet, and strive to educate you on being a great pet owner. Our full range of services includes preventative medicine, surgery, and boarding. Contact us in Yukon, Oklahoma, to request more information about our pet clinic. We have built a new clinic! Click here to see it go up.